I’ve always said if you are going to remake a movie pick a flawed movie that has potential. Then you have something to improve upon. 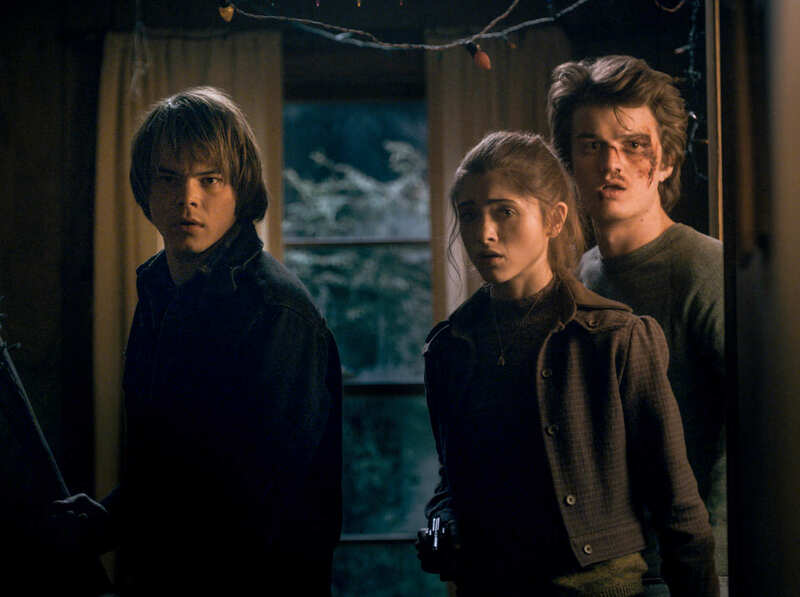 The 1980’s Disney film The Watcher in the Woods is a good example. 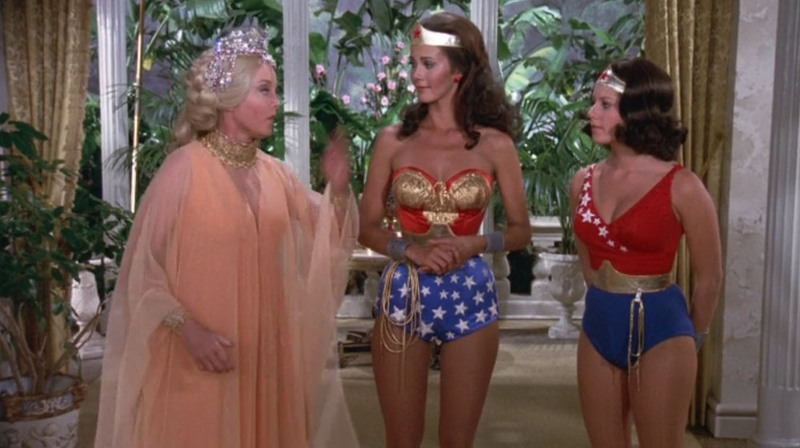 The original is entertaining but it is saddled with bad acting and cheesy dialogue. A new version aired last weekend on Lifetime Channel and it does make some improvements to the original. Unfortunately it also makes odd choices that made it less interesting as a narrative. The biggest improvement the new film makes is in the acting. Tallulah Evans is a serious step up as Jan. She is beautiful, expressive and a much better actress than Lynn-Holly Johnson. 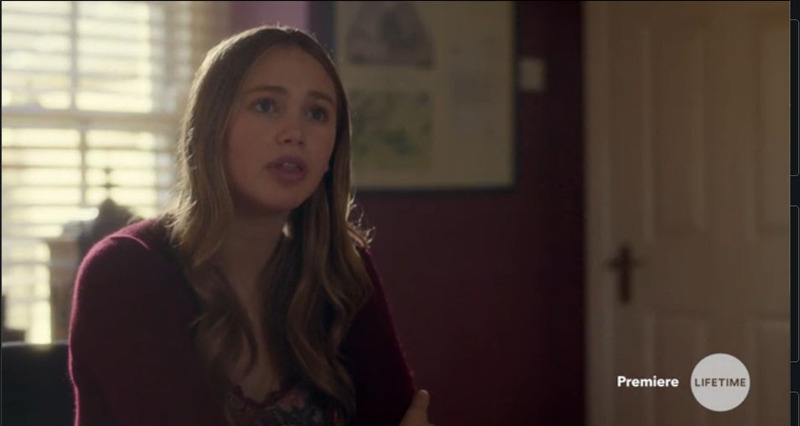 She also looks like she could be Britt Robertson’s doppleganger. I honestly thought all the acting was better in this new version. The little girl was better. The boyfriend was better. The parents were better. You get the idea. 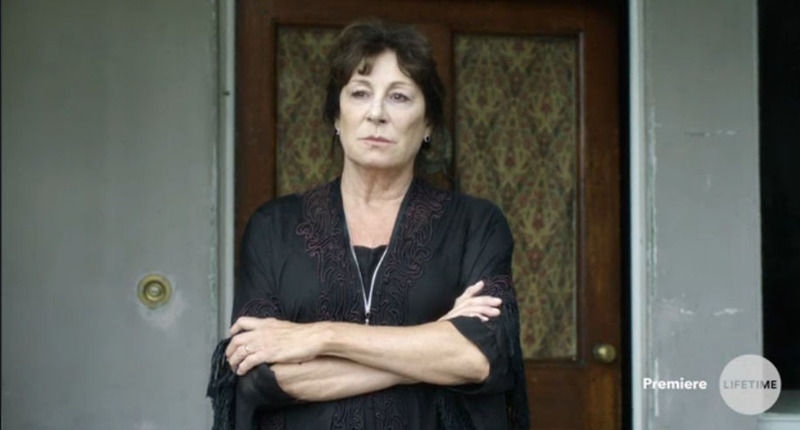 Anjelica Huston is about as good a replacement for Bette Davis as you could cast. Unfortunately she’s not in the movie near as much. I wonder if they only had her for a few days of shooting? It feels that way. Still she makes good work of the scenes she is in and elevates the film just as Davis did. You feel for her as this wounded mother and yet those big eyes are terrifying. The story of Watcher in the Woods focuses on a family that moves into an old house with a weird old woman living in the guest house. 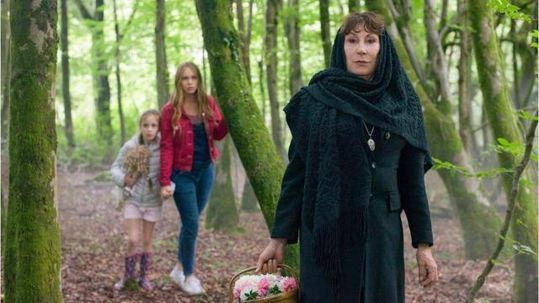 Years before the woman’s daughter Karen went missing and ever since the woods nearby are full of creepy goings-on. As the family lives in the house, the mystery of the daughter starts to unfold putting them all at risk. The problem with the remake is it takes this basic premise and makes it very conventional. Where the original made strange choices, that added mystery in this version you see everything coming a mile away. 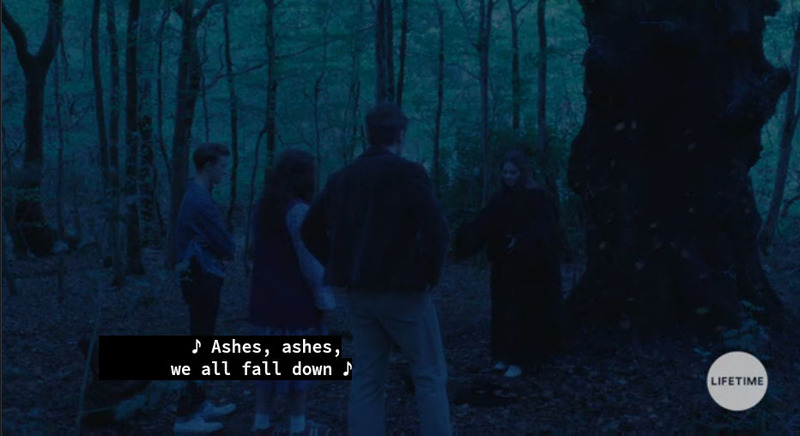 For example, in the original the teens make a conscious choice to hold a seance and experiment with the occult. Then Karen is taken by an alien known as the Watcher. Even though the acting is hokey this is interesting because it was their choice to become involved. 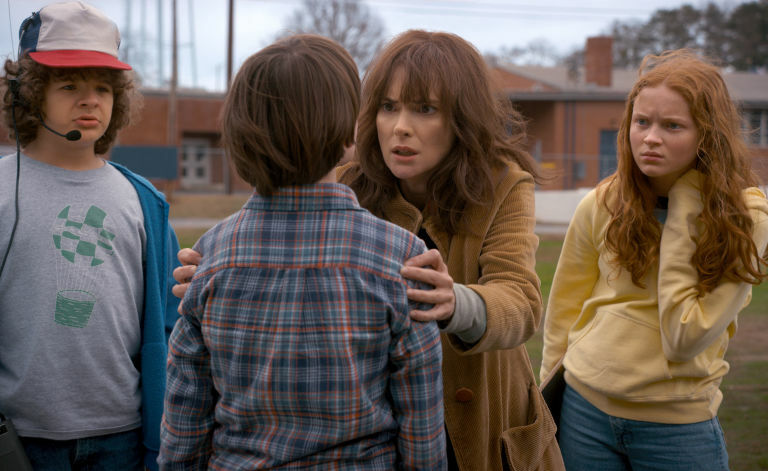 It’s hard for Jan and crew to figure out what happened to Karen when it is shrouded in an eclipse with the occult. In this new version the Watcher is a puritan doctor who was killed by townspeople because they feared he had the plague. Now he stalks the forest waiting for the townspeople to recognize him and the work he did. This is less interesting because it is a monster movie. There is no sense of mystery at why the students had the seance and what Karen was all about. 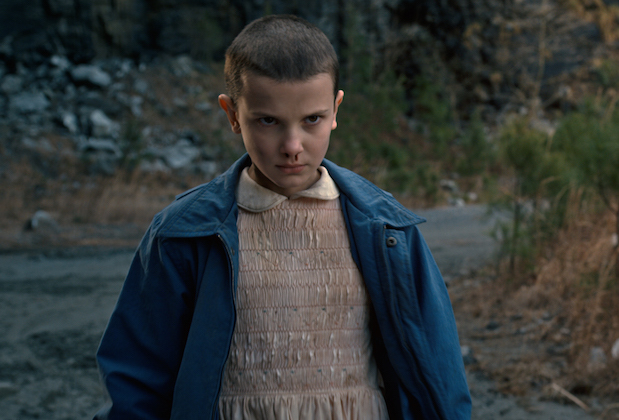 She’s just an innocent girl who was taken by a monster. There were other little things that were less interesting. Like when the glass shatters it is a cross instead of a triangle. This is probably a nitpick but to me a triangle is more unusual. What does a triangle mean? Where it is obvious what a cross means. Another example is the ‘Nerak’ scenes aren’t as interesting. 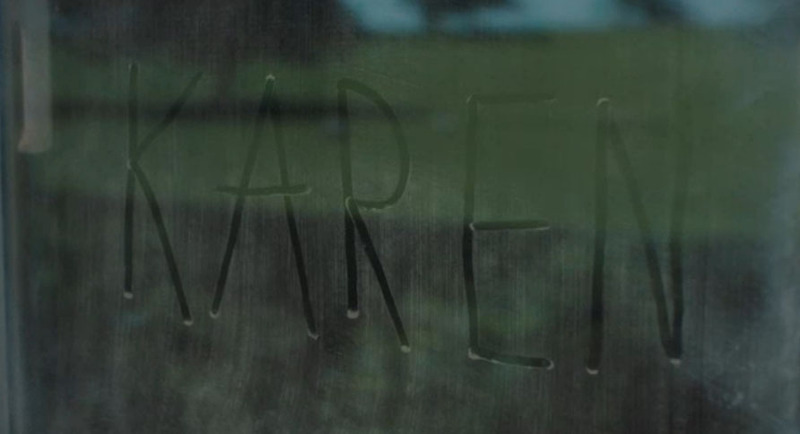 In the original the little girl randomly writes Nerak backwards before anyone knows about Karen and names her dog Nerak. This is more interesting than writing it on the window 30 minutes in and then waking up and screaming the the name once the investigation has started. It doesn’t leave you as the viewer asking questions which is part of what makes the original scary. This new version has family friendly scares but it’s not as thoughtful a narrative as the original. Oh well. 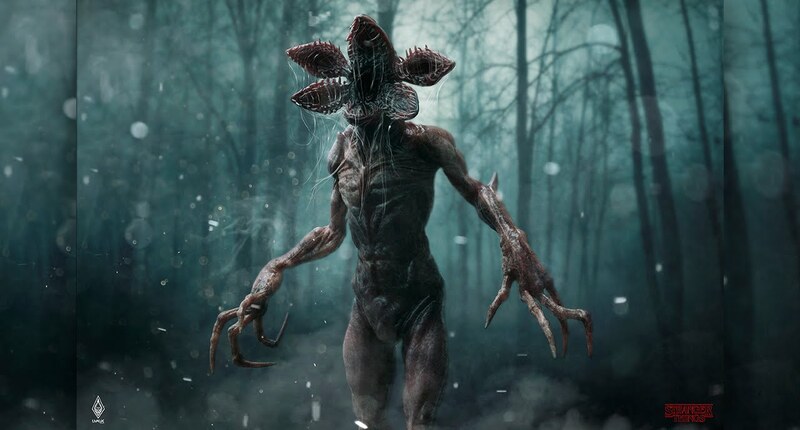 All that said, if you are looking for a family friendly horror movie you could do worse than the new Watcher in the Woods. It’s a pretty bland movie but it does have good performances and some scary sequences. It’s a little frustrating because with just a few changes it could have been special but it’s an okay watch. Evidently this is the week for Disney expanding upon my favorite animated classics. 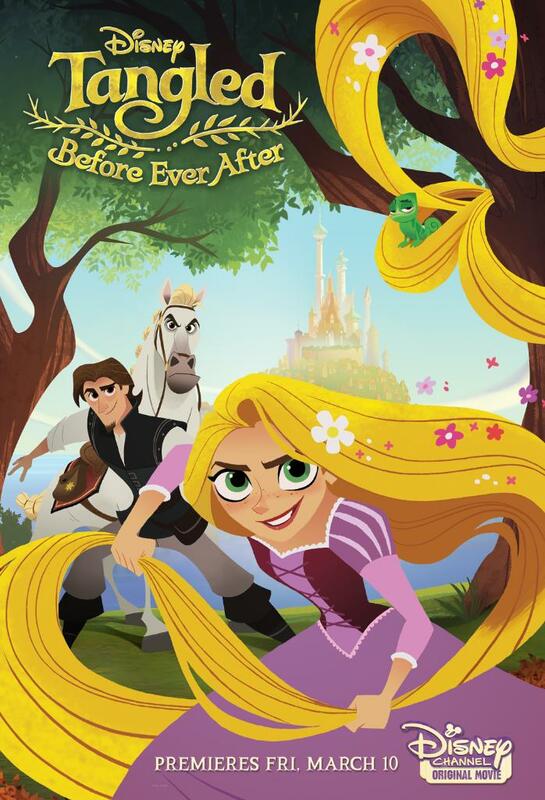 On Thursday I will see the new take on Beauty and the Beast (for better of worse) and this weekend I saw the TV movie that goes with the new series based on Tangled called Tangled: Before Ever After. 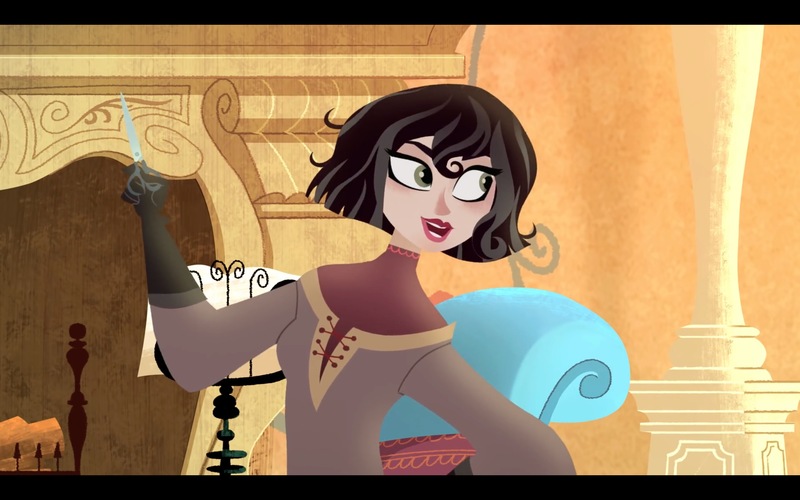 If you’ve read this blog you know Tangled has a special place in my heart. 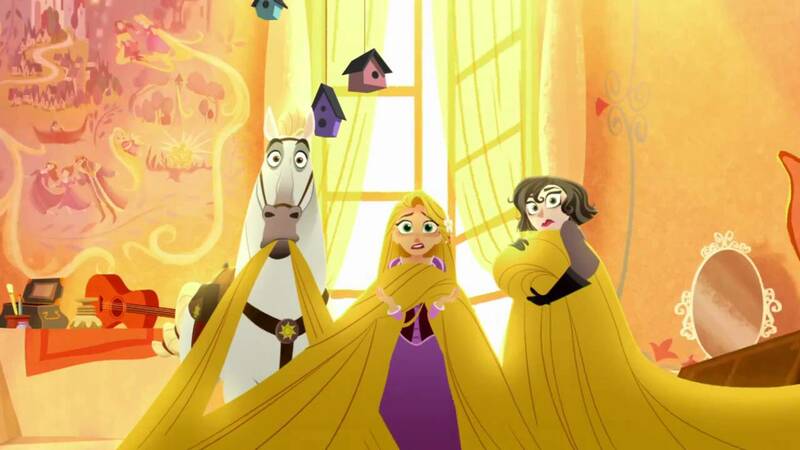 I wasn’t really into animation except for Pixar for years and then I went and saw Tangled in 3D and it blew me away. I loved the characters, songs, writing and being surrounded with those floating lanterns. 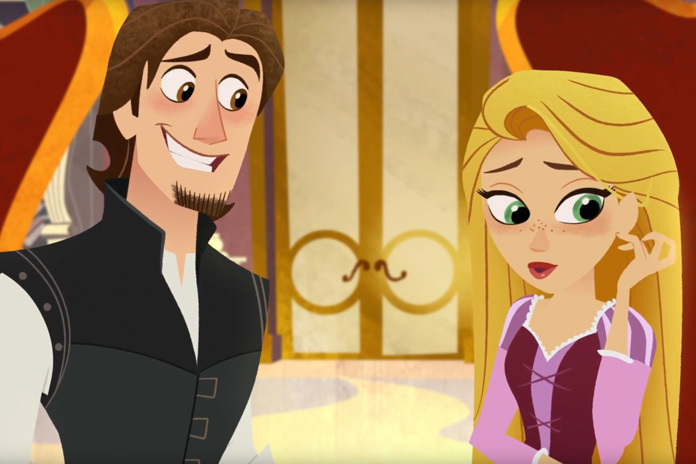 Tangled is Disney’s first romantic comedy and still boasts their best movie couple in Eugene/Flynn and Rapunzel. I just love it. 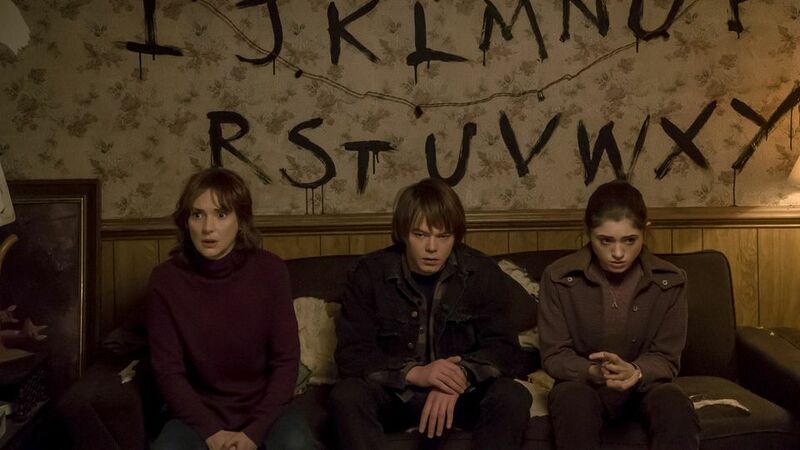 With such strong feelings about the original it is probably no surprise I approached this TV movie and new series hesitantly and honestly my response is mixed. 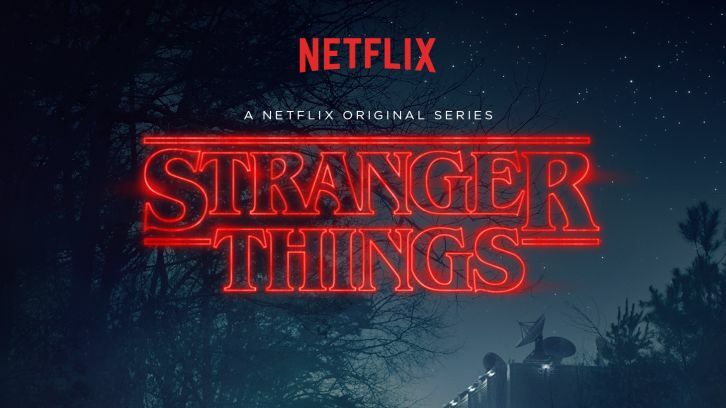 I liked some things about it but other parts felt extremely generic and bland. The best thing by far about it is the visual style and animation. 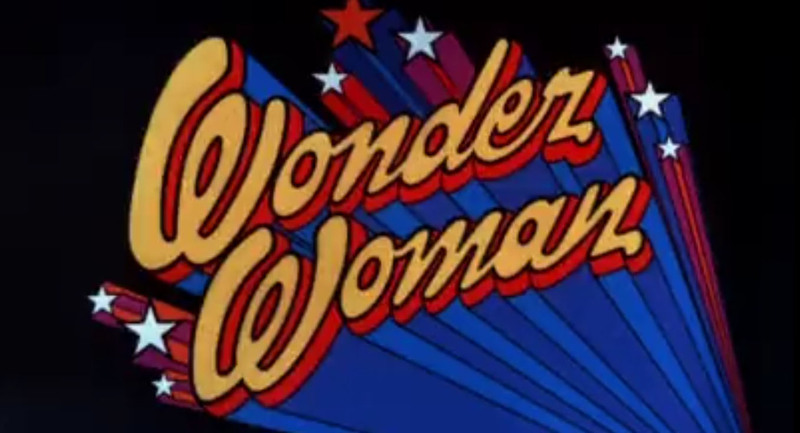 I really think the 2D flash animation is cool and looks inventive and new. I like all the bright colors and the way it moved and flowed. I also thought the music was decent. It’s poppy but so was the original so it works. 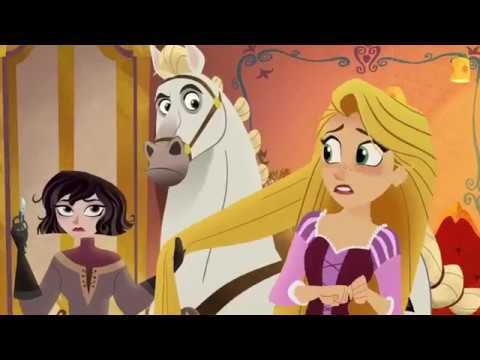 The voice cast including Mandy Moore and Zachary Levi is back and they do a great job. So good animation and music that’s pretty good start for a new series, right? Well, unfortunately I have some big problems also. 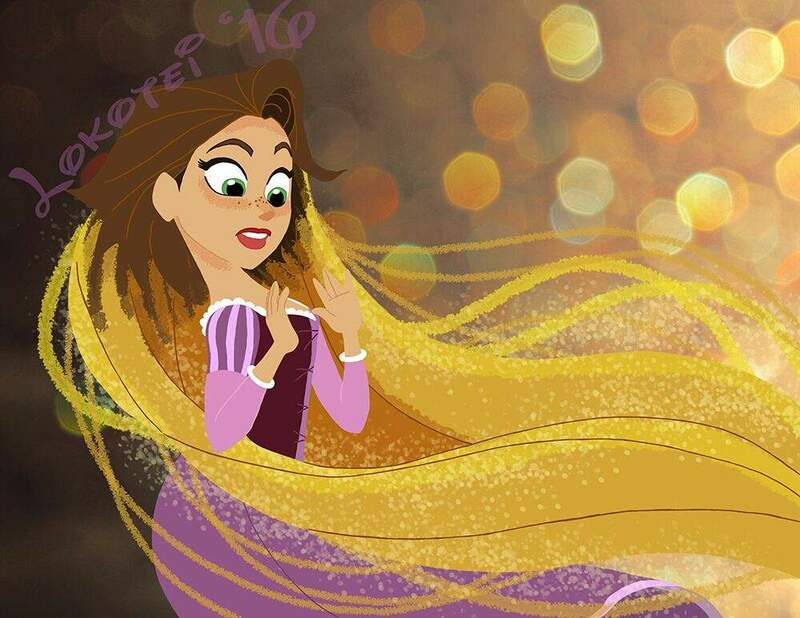 My biggest problem by far is what they did with Rapunzel as a character. In the original she is positive but also real. 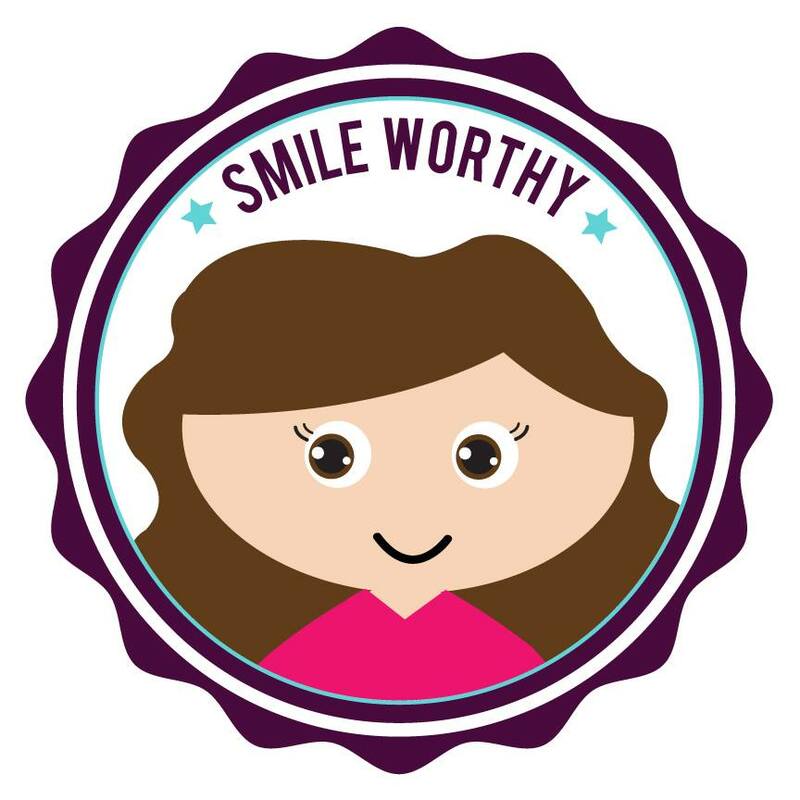 She’s open with Flynn, a stranger, very quickly, making deals and sharing her dreams. We also see her struggling with her loyalties to her mother and her joys at being free. This makes her feel very real and human. Also, she is able to entertain herself and be happy in her environment in a tower for years. Yes, she wants to see the lanterns but over all she is positive and upbeat despite being in the tower. The same is true when she meets the ruffians and thugs. Sure she’s scared at first but she quickly becomes positive and warm with them. So that brings me to my problem with the series. They try to paint her as this disgruntled teenager dying to break free from the bonds of castle life and I don’t buy it. Again, she kept herself happy in a tower for years. I don’t think she would be complaining about a castle especially when she has so many people to talk to and can leave whenever she wants (she goes out into the town with no real problems or penalties). 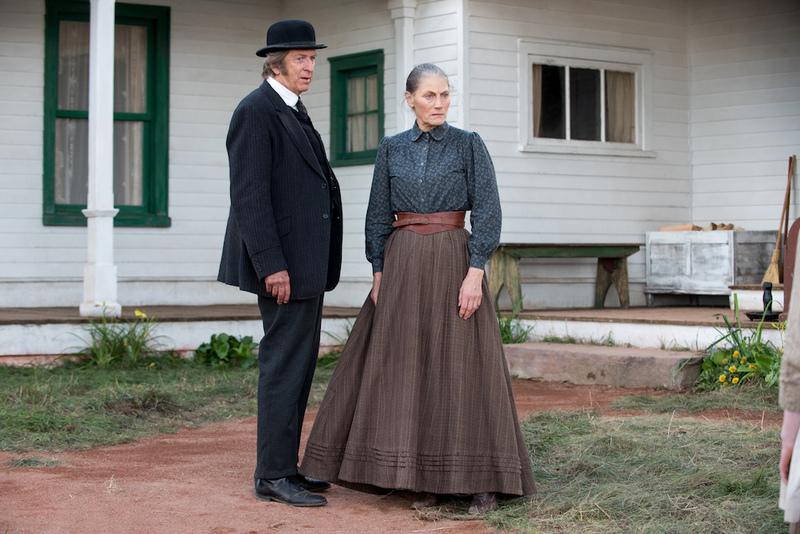 To make matters more unbelievable she lies to Eugene and spurns his proposals and advances a little bit, which feels completely out of character. This also turns Eugene into a bit of a dope fawning over Rapunzel and her parents into boring strict parents. Max and Pascal are pretty much non-factors in the TV movie. Surprisingly I’m okay with their somewhat convoluted explanation of how Rapunzel gets her hair back. I don’t know why they decided to go the hair route but I suppose it’s just about as good an explanation as anyone could come up with. 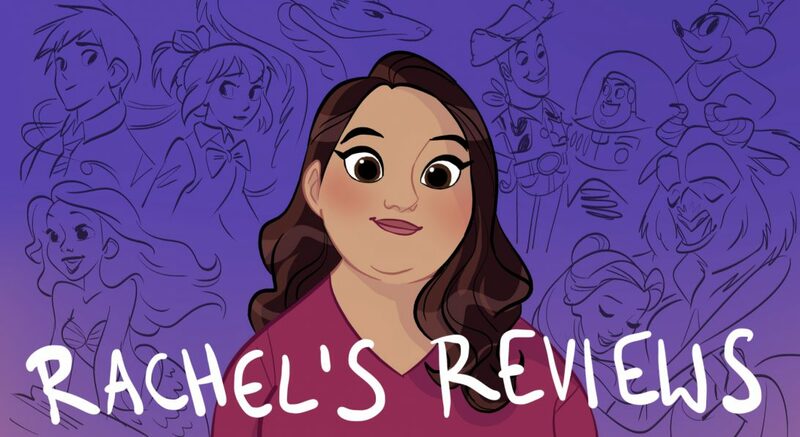 I guess it might sound like I completely hated this Tangled: Before Ever After, but I didn’t. 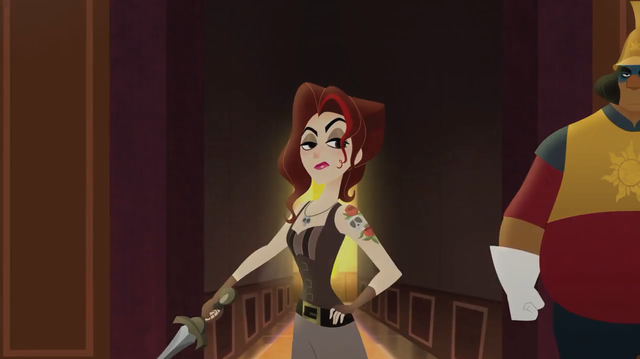 It just annoys me when characters I love are changed like they do with Rapunzel here. It is visually inventive and I see some potential with the songs and voice cast. I hope it will be like Elena of Avalor and build as a series becoming entertaining. However, just on this TV movie I can’t give it a very high grade. I hope for better in the future but there were definitely big problems that I am not happy with. 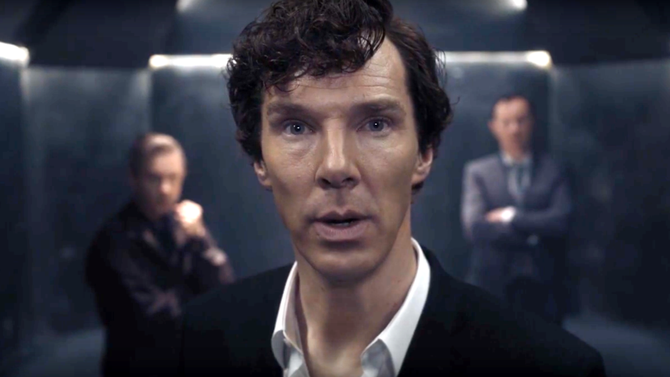 So the Emmy nominations are in which include 2 animation categories, program and short form animated program. After getting it really right last year with Over the Garden Wall taking home the prize I am very disappointed with this year’s nominees. It’s not that any of the shows are awful but some really great shows were missed. No nomination for Rick and Morty and I am sorry but they have taken what South Park did and ran away with it. And no nomination for Gravity Falls. 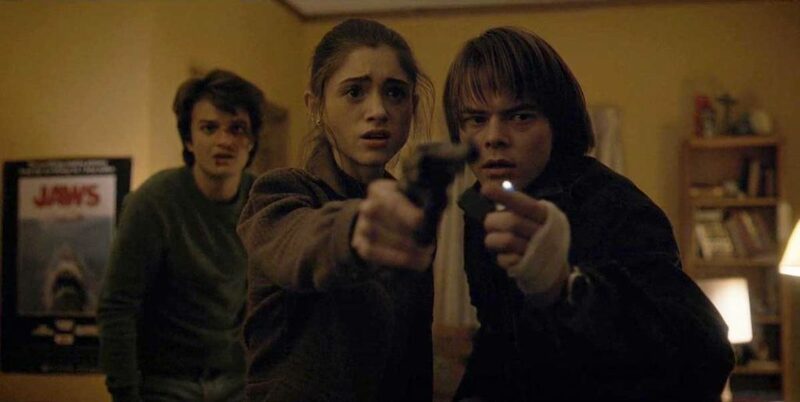 Their 3 hour epic finale was so great and inventive. As much as I love The Simpsons there was nothing last year that came close to Gravity Falls. 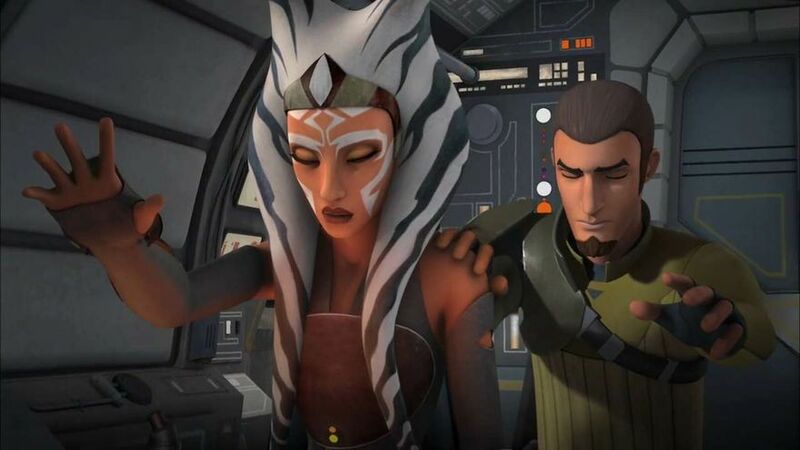 Then you have Star Wars Rebels which was so captivating last season with a finale episode that had me in tears and cheering all at the same time. There is no way that Phineas and Ferb Last Day of Summer is better than Rebels. We also get the Powerpuff Girls reboot with a nomination which everyone I know hates and nothing for the final season of Wander Over Yonder. Netflix’s Voltron also deserved a nomination over one of these tired shows. If you haven’t caught it yet it is so well written and animated. I haven’t finished but will do a review when I’m done. I also wouldn’t have been sad if The Lion Guard had made it in because that show is very well done for kids. 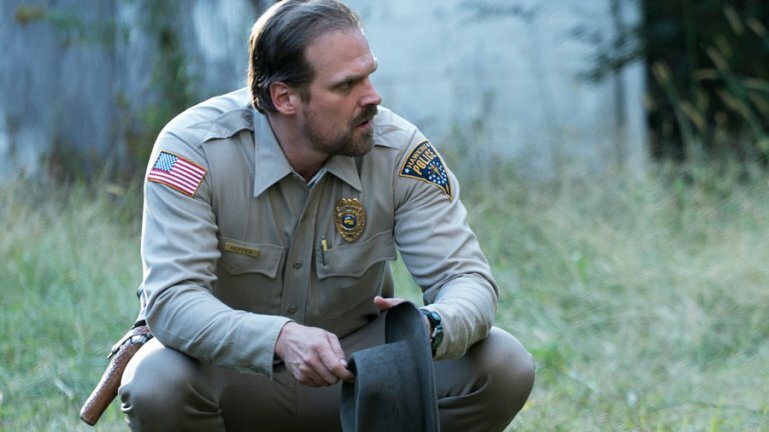 So all in all it is an epic fail for this year’s emmy nominations. What else is new? These award shows rarely get it right. Happy Star Wars Day! And May the 4th be with you! I’m kicking myself for not filming something Star Wars related for my youtube channel but it gives me the opportunity to give the blog my main focus! If you haven’t watched my Star Wars content on the channel I think you will really enjoy it. My friends and I break down each of the movies and rank them. They are really fun videos. But that’s neither here nor there. What I want to talk about in this post is Star Wars Rebels. 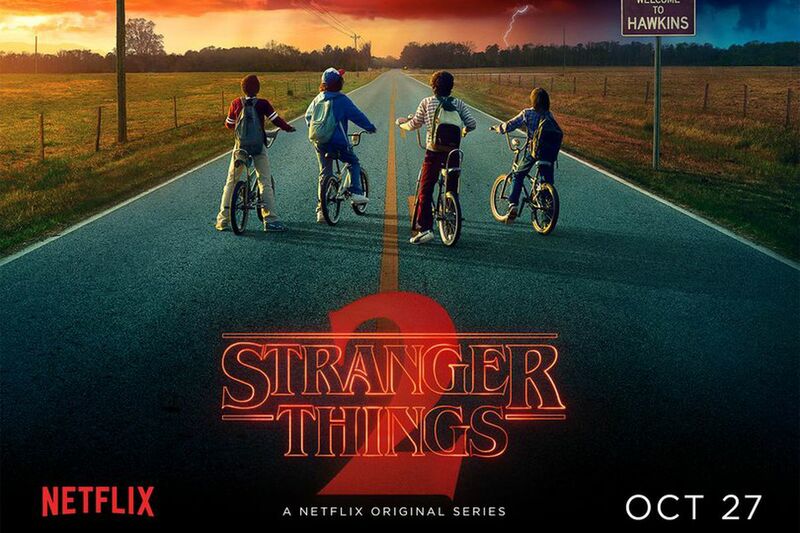 Check out this trailer for the last half of season 2. If it doesn’t get you excited about Rebels than your Star Wars fandom is of a different kind than mine! 1. Animation- as an animation buff that’s a huge plus. But even putting that love aside an animated Star Wars world has no limits. 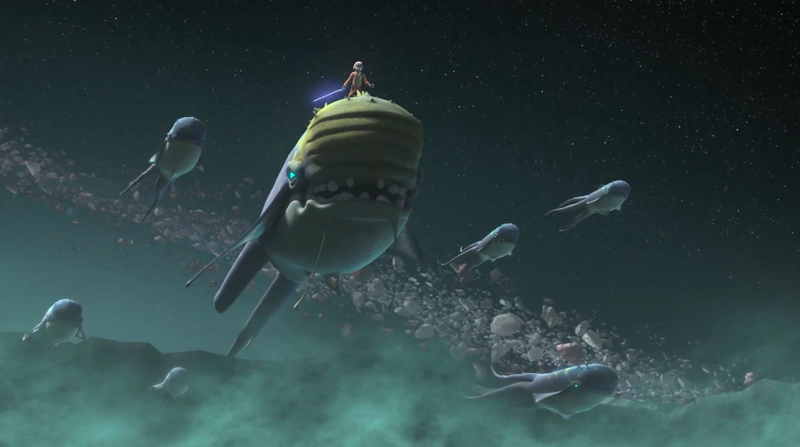 You can have space whales and then an amazing light saber battle in the same 20 minutes of screen time. The creators are only limited by their imagination. 2. Non-Skywalkers- Don’t get me wrong I love the Skywalker family but Star Wars is a galaxy full of planets and people. Aside from the occasional cameo, how great is it to have main stories about new characters that aren’t Skywalkers? It makes it unpredictable. A character like Ezra we see leanings towards the dark side but we don’t know him; therefore, am never positive what he will do. His heart is in the right place which can be the greatest threat to darkness of all! 3. 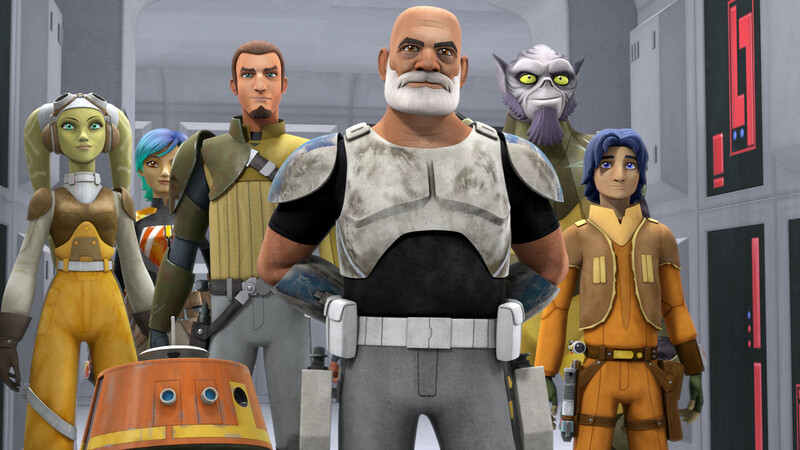 Fantastic characters- There are some amazing characters in the Star Wars films but in Rebels we dive into these characters and live with them in a way you just can’t in a movie. Kanan has survived Order 66 and is according to creator Dave Filoni a “cowboy Jedi”. He was never fully trained but he is force strong. This makes him unpredictable yet still strong. 4. 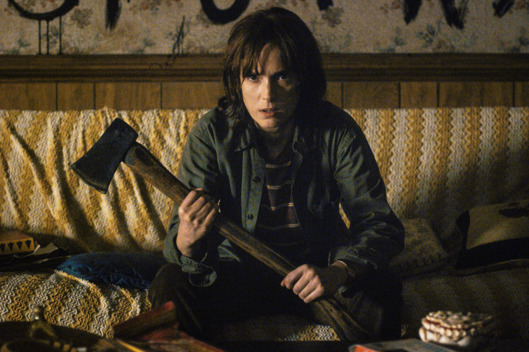 Fantastic Female Characters- Aside from Rey, who I will defend until I’m blue in the face, Star Wars hasn’t been the strongest when it comes to female characters. Leia is great but one note and Padme…less said about her the better. 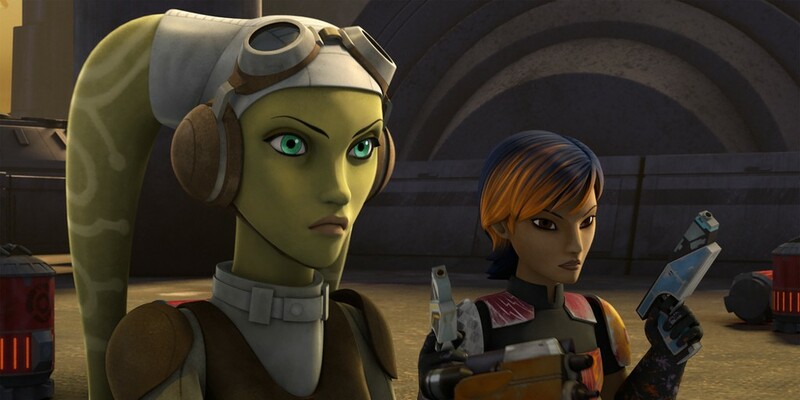 In Star Wars Rebels you have Hera and Sabine who have complex backstories involving their family, training, conflicts and everything else. They are not there to have love interests or be tough and I don’t know how anyone claims they are Mary Sue! 5. Ahsoka- Speaking of female characters Ahsoka is an amazing character. She worked along side Anakin and saw him descend into Vader. A part of her still feels loyal to her former master and yet he destroyed everything in her life. She was once in the Jedi Order but now she is free from such restrictions, yet she is still force strong. This makes her very complex and heart breaking. And the season 2 finale. Wow! 6. Great Writing- Rebels definitely has dud episodes. Don’t get me wrong but for the most part the writing is so good. These feel like real people not just action adventure characters. The dialogue feels genuine and can be very heartfelt and intense. 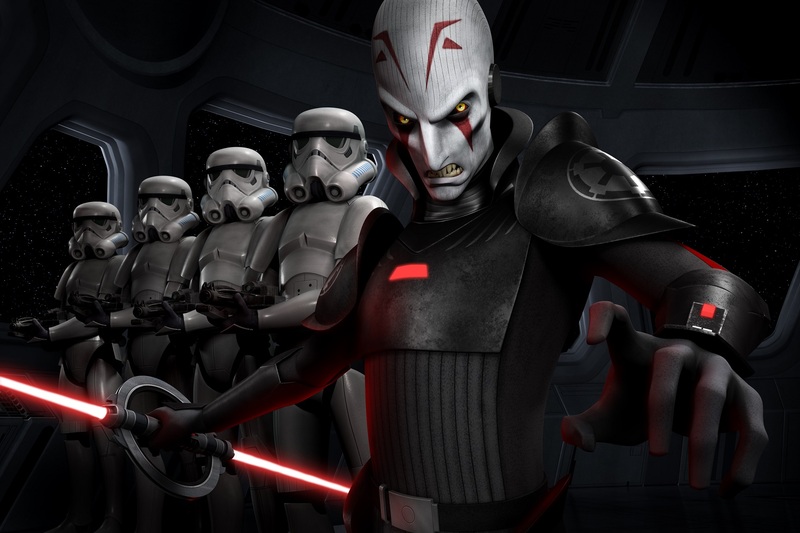 Creator Dave Filoni has a real vision for the series and a love for these characters. It’s unpredictable and layered in a way you can’t accomplish in a movie. 7. Chopper- While not quite BB8 greatness Chopper is such a fun droid. 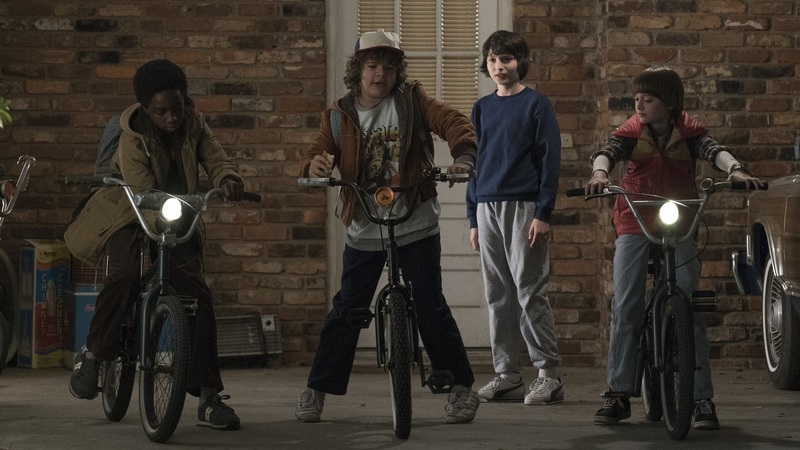 It’s a good example of the spirit of fun in the show. It is after all on Disney XD so there are childlike moments that are very enjoyable. Star Wars started as a film for children and then it appealed to adults second and Rebels gets that balance right. 8. Weekly Lore- Let’s be honest waiting 2 years to find out what happens to Rey is brutal! 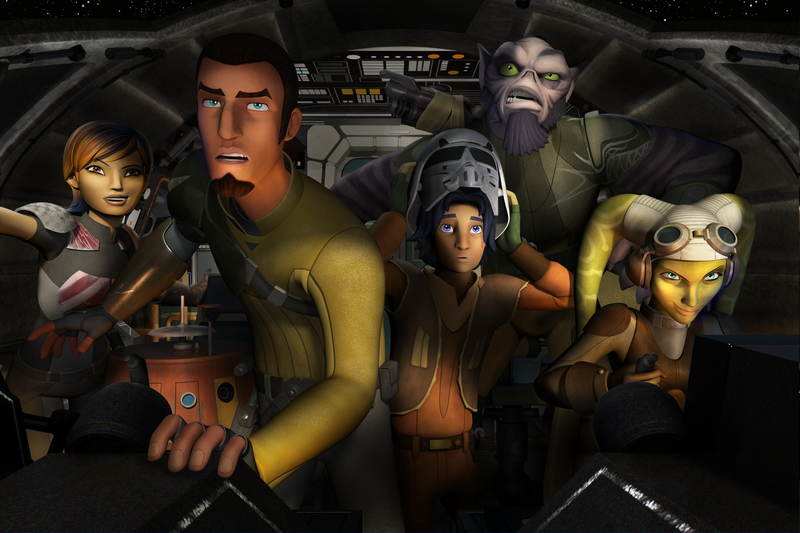 How great is Star Wars Rebels when each week we learn more about the lore, characters and stories. Even in the less successful episodes none of them are awful with JarJar, so no big let down as some of the movies have been. This is great storytelling and we don’t have to wait! 9. Movie Winks- As much as I love the new characters in Rebels we also get winks and cameos from the prequels and original trilogy. 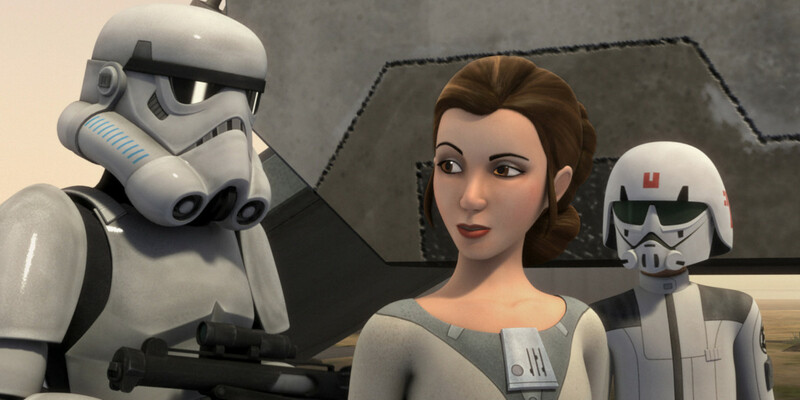 Rebels is set 14 years after Revenge of the Sith so we see Vader, Yoda, Tarkin others and this last season we got to meet a young Princess Leia which was awesome. 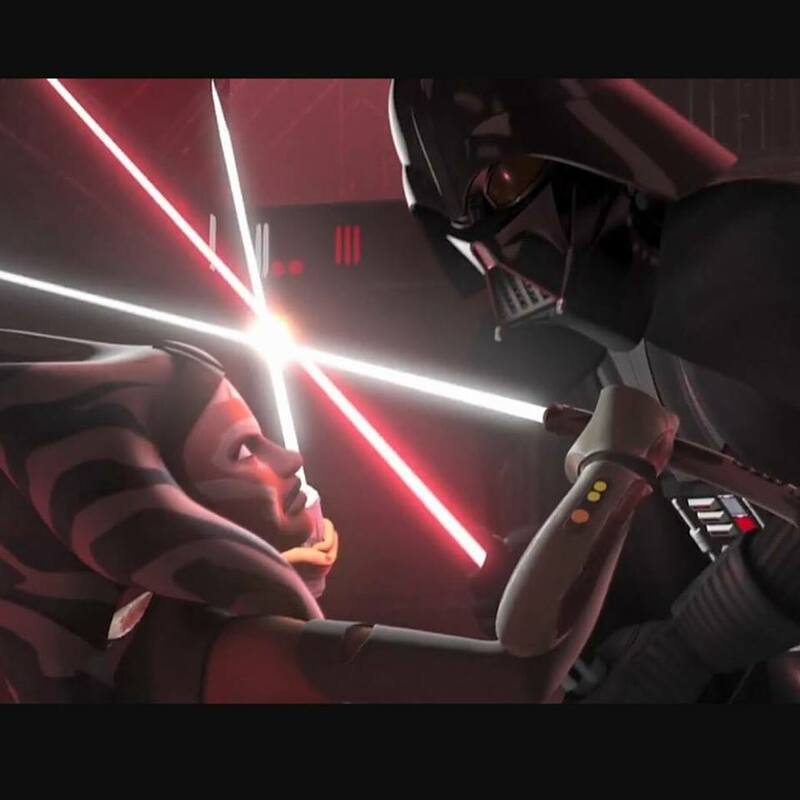 Plus, I think Rebels redeems a lot of what the prequels ruined for Anakin/Vader especially with Ahsoka’s storyline. 10. Everything and More- Basically Star Wars Rebels gives you everything you love about Star Wars and even more. It has great action, light saber fights, words of wisdom, adventure, terrific characters and strong world building. It’s a great blend of being its own thing but also being a fantastic Star Wars property. 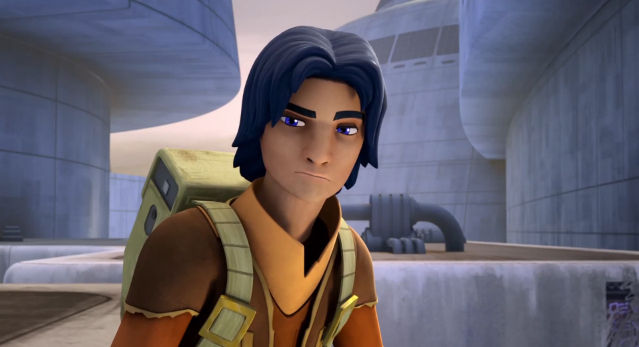 You could just watch Rebels and enjoy it without watching any other Star Wars property. I don’t know if you could say that about any of the movies? Maybe New Hope? The movies are fantastic as a series and Rebels is just that a series but you don’t have to wait 2 years in between episodes! 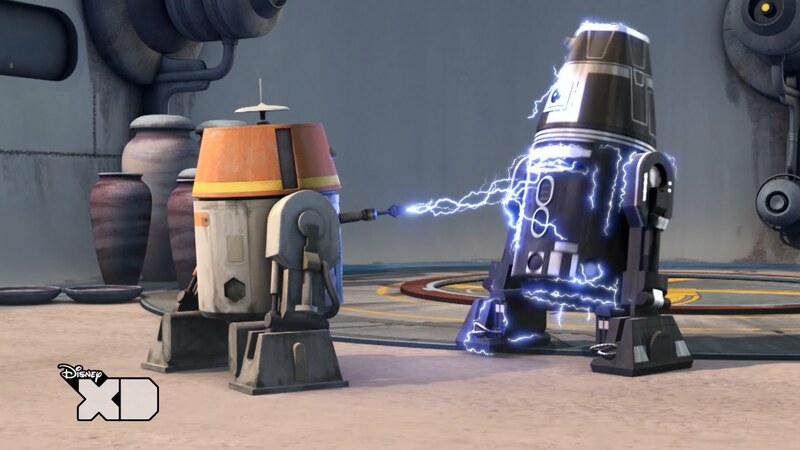 Honestly I like to think of Star Wars Rebels as the true prequels. We learn everything we need to know about Anakin and his fall but it is through the eyes of characters I really care about- something that definitely wasn’t the case for me in the prequels. 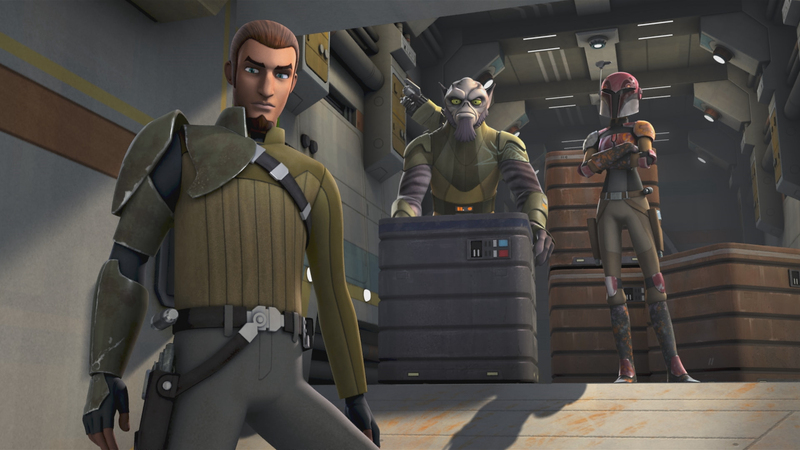 Rebels shows the world before New Hope in a way that is gripping, heart breaking and exciting. If you haven’t seen it. WATCH IT!! Do you watch Rebels? Why do you love it?